Terry Bradshaw is one of the most accomplished sportsmen in the history of America. During his playing days, he was a great NFL quarterback winning four Super Bowls in the process. Since his retirement, he has established a viable career as a sports analyst, musician, actor, and author. Find out more about the legendary quarterback here including facts about his wife, net worth, bio and Super Bowl rings. Terry Paxton Bradshaw was born on the 2nd of September 1948 in Shreveport, Louisiana. He hails from a family of five. His father’s name was Bill while his mother’s name was Norvis. He also has two brothers – Gary and Craig. Terry Bradshaw laid the marker for his brilliant career from the onset. He had his high school education at Woodlawn High School where he performed superbly in football. By the time of his graduation in 1965, he was scouted by several top-rated colleges. He, however, choose Louisiana Tech in Ruston, a school which would remain dear to his heart. At Louisiana Tech, Terry Bradshaw spent his first two college seasons on the bench. He, however, saw more playing time in his third and final year and did not disappoint. He led his team to 9 victories in 11 matches as a junior and won many trophies. As a senior, he led his team to 8 victories in 10 matches. Overall, in his college career, Bradshaw completed 424 of 807 passes for 4,459 yards with 39 touchdowns and 42 interceptions. Terry Bradshaw joined the National Football League (NFL) in 1970 after four successful years of college football. He was the number one pick of the 1970 draft and subsequently joined the Pittsburgh Steelers. Bradshaw was a one-club man as he played for the Steelers throughout the entirety of his NFL career. He endured a difficult start to his NFL career, however, he shrugged off criticisms and ridicule to establish himself as one of the greatest quarterbacks the NFL has ever seen. He was nicknamed “the blonde bomber”, thanks to his explosive arm. In 14 seasons and 168 games for the Steelers, Bradshaw completed 2025 of 3901 passes for 27,989 yards. He also recorded 212 touchdowns and 210 interceptions. He led the Steelers to the AFC championship title on eight occasions. He also led them to Super Bowl victory on four occasions thus winning four Super Bowl rings. These came in 1974, 1975, 1978 and 1979. 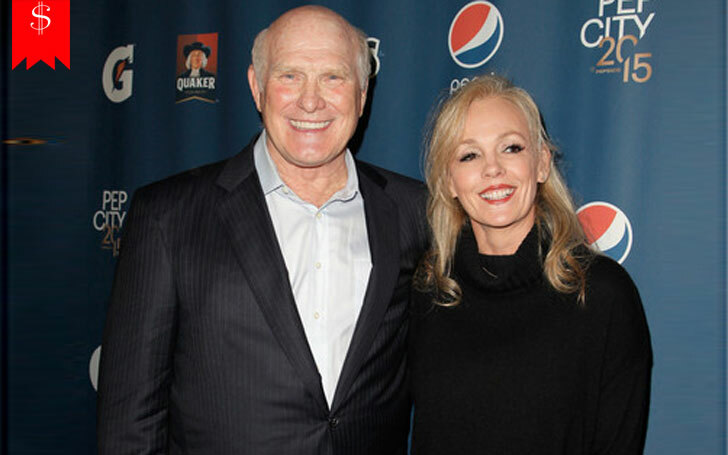 As a testament to his individual contributions, Terry Bradshaw was named the most valuable player in the league (once) as well as the most valuable player in the Super Bowl (twice). Bradshaw retired from active football in July 1984. Since then, he has been inducted into numerous halls of fame including the College Football Hall of Fame and the Pro Football Hall of Fame. He has also donated all his Super Bowl rings to his beloved alma mater. The legendary quarterback has been married four times. His first marriage was to a lady named Mellissa Babish. They got married in 1972 and divorced 18 months later in 1973. Bradshaw braved the marriage institution again in 1976. This time with a well-known ice skater, Jojo Starbuck. Their union lasted for 7 years and produced Bradshaw’s only two children; Rachael and Erin. They called it quits in 1983. Terry Bradshaw got married to a lawyer named Charla in 1983. The union lasted for 16 years and they divorced in 1999. Presently, Bradshaw is enjoying marital bliss with long-time girlfriend, Tammy. They dated for 15 years before tying the knot in July 2014. They have remained strong and embarked on many ventures together which include several philanthropic activities and horse breeding. What Is Terry Bradshaw’s Net Worth? 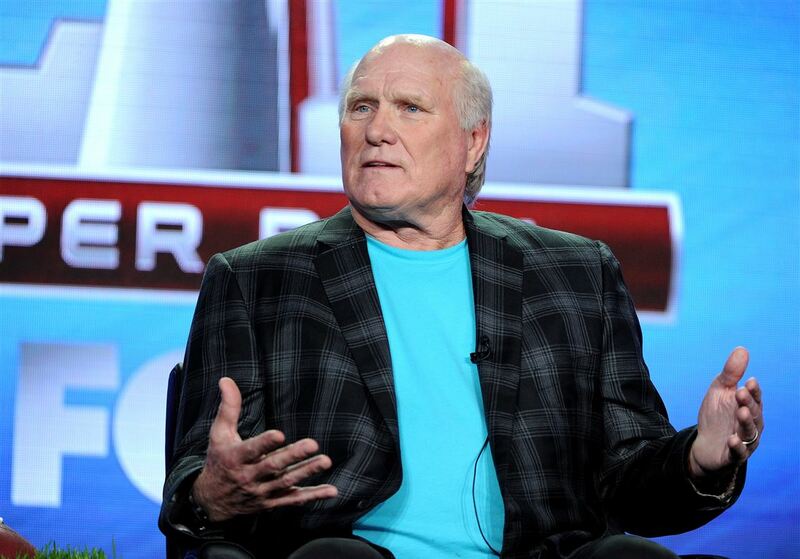 Since retirement, Terry Bradshaw has established a career as a sports analyst for CBS and Fox Sports. He has won three Emmys for outstanding sports personality – studio analyst. Bradshaw has also featured in many TV series and movies including the popular comedy, Failure to Launch. The Louisiana native is also a musician and has released several albums in the country and gospel music genre. With regards to his net worth, Bradshaw has a fortune estimated at $15 million. He made his wealth from his NFL career as well as endorsement deals. Bradshaw has featured in commercials for numerous companies. They include Safe Step (a company that manufactures walk-in-tub and shower), Microport Orthopaedics (a company that produces surgical knee implants), Supercuts (a hair salon chain). Others include Tide Detergent, Miller Lite Beer and Nutrisystem Diet. Even though Bradshaw is now retired, his warm personality makes him a favorite pick for product ads.